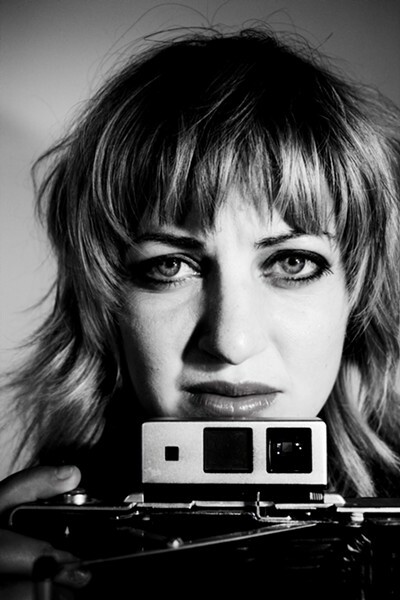 Anaïs Mitchell Contributes Verse to Peter Mulvey's "Take Down Your Flag"
Last Friday, Wisconsin songwriter Peter Mulvey wrote a song called "Take Down Your Flag" in response to the mass shooting at Emmanuel African Episcopal Methodist Church in Charleston, S.C. He played it that night in Northampton, Mass., while opening for Ani DiFranco. The next night, Mulvey's friend, songwriter Pamela Means, played the song in Providence, R.I., while Mulvey played it in Lowell, Mass. The day after that, DiFranco herself played it in concert. In his song, Mulvey specifically sings about Susie Jackson, one of the nine victims on the shooting. When a friend suggested he write eight more verses — one for each of the other victims — Mulvey called on his songwriting pals to help him out. And so DiFranco, Means, Erin McKeown, Mark Erelli, Vance Gilbert, Ralston Bowles, Tod Weidner, Herschel Lee Brown and Vermont's Anaïs Mitchell each contributed verses. Here's Mitchell's verse, written in memory of DePayne Middleton-Doctor. Yesterday, Mulvey posted a version of the song on YouTube with the heading: "Take Down Your Flag: Please Re-Write and Sing This Song." In the video he demonstrates how to play the song and invites anyone and everyone to contribute their own verses to the song. And many have. Several new versions of the song have surfaced since Mulvey posted his call to songwriting action. His instructional video is below. If you write a verse, share it in the comments section.